Move over Lumia 920, there’s a new flagship in town! The rumored Nokia Catwalk has finally been launched, and sporting much of the originally rumored specs. 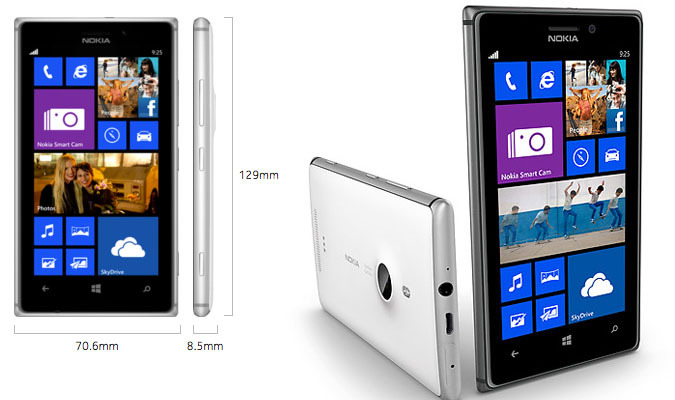 Even though the Lumia 920 was well received, it was criticized for being bulky and heavy. Rumors of a thinner, lighter and aluminum bodied Lumia started around January and the Lumia 925 is that rumored device. As the name suggests, it isn’t a really big change from the Lumia 920, so read on for the Nokia Lumia 925 preview! 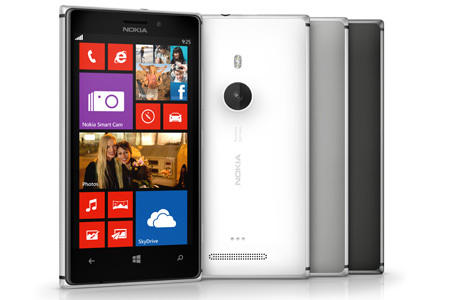 Nokia Lumia 925 – What’s new and different? The main differences here are the AMOLED screen instead of LCD on the Lumia 920, and the camera now includes a 6th lens which supposedly improves photo quality and sharpness. Speaking of which, a lot of the improvements come by way of software, specifically a new app called Nokia Smart Cam, which can be assigned to the physical camera button which is a first for Windows Phones. Smart Cam is an app that combines a lot of new camera effects and editing abilities into one neat package. This lets you take action shots a la Drama Shot on the Samsung Galaxy S4, lets you delete unwanted people from the photo, find the best face, and combine all of this into one photo. The best part is that you can do all this editing on the fly, save the photo, share it, then again edit it. It’s Nokia’s answer to HTC’s Zoe and Samsung’s Galaxy S4 camera tech, and initial impressions suggest that it works better than both. According to Nokia, each frame is captured at 5 MP, which no other phone can do. Apart from this, the event also launched the Hipsotomatic Oggl app, which is a photography editing and sharing community. The app includes filters and basic editing options and of course lets you share it with your Oggl network. Now here’s the kicker, the app and camera upgrades will come to all Lumia series phones in a firmware update called “Amber”, that should roll out sometime this summer. This should fix any niggling problems with the Lumia 920 and other phone cameras. Another big feature being unlocked is FM Radio, if your phone has the hardware for it (sorry Lumia 620 owners). Since Lumia 925 doesn’t come with wireless charging built in, you can buy colorful snap on covers for it that let you use wireless charging. The phone itself will come only in white, grey and black, unlike Nokia’s recent phones, so if you want a splash of color, you’ll have to get yourself a snap on cover. The Lumia 925 will launch this June on T-Mobile and a couple of other European and Chinese networks . It’s basically T-Mobile’s Windows Phone 8 flagship, like Lumia 920 on AT&T and Lumia 920 on Verizon. Do let us know what you think of our Lumia 925 preview and of course, what you think about the newest Lumia! Does lumia 520 has FM radio hardware in it?